Nimra Ahmed’s new novel Namal is an intricate tale of murder and revenge revolving around Surah Namal of the Holy Quran. Namal is a novel full of suspense and surprises. 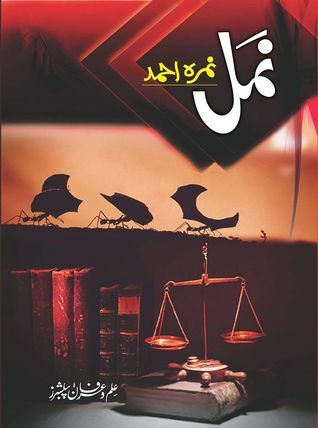 Namal is a carefully spun mesh work of interwoven threads that are unraveled to the reader slowly and gradually. With the right amount of humor, suspense that keeps you glued and a story that you’ll remember for a long long time, Namal really touched my heart. The lessons, the quotes and most importantly the elaboration of Quranic verses won me over. From Saadi’s intellect to Haneen’s evil genius. From Faris’ subtle humor to Zumar’s stubborn attitude. From Baray Aba’s subtle taunts to Nudrat Behan’s never-ending complains. From Hashim’s I’ll-handle-it-all attitude to Jawaharat’s cunning nature. From Abdar’s precise scheming to Nosherwan’s wounded little ego. Somewhere along these lines I fell in love with the characters.